The Future of Smartphones – is it software or hardware? It’s getting close to flagship 2017 season, with new phones coming out from LG, Samsung, Sony, Huawei and many other manufacturers. Many people are guilty at looking at just the hardware specifications and deciding that a 23mp camera is better than a 13mp camera as an example. However, as many of us know, the quality of the camera sensor, software processing and hardware chips supporting the camera can make a massive difference to the quality of the photos. LG this year have opted to refine their offering over the G5. The G6 hardware and software appears to have been refined in unison to provide a better user experience. Obviously I will put the G6 through its paces like I have with the G4 and G5. Whilst the Samsung Galaxy S8 hasn’t been officially announced by Samsung, the leaks are huge and it appears Samsung has gone for small hardware changes. So what could make this phone significantly better, just the software. Sony makes phones with gorgeous looking hardware but the software lags behind its competitors. It’s cameras flaunt massive specifications yet in auto mode are very hit and miss in terms of quality. This is crazy as Sony’s camera division makes some of the best cameras and the Sony camera sensors are also found in most flagship and non flagship phones from the iPhone to Samsung. So this then moves on to how important software integration with the respective hardware has become. Adobe released an update to its lightroom mobile application on iOS and android to provide a HDR raw camera shooting mode whereby the end result is a raw HDR processed image. I have been testing this update, and the results are really impressive. Take the Google Pixel phone. Google has shown how important software integration is with the hardware, producing a smooth running phone with a camera that shoots great photos just using the auto mode. Apple does exactly the same with the iPhone. This year I am going to pay more attention to the software and hardware experience as a whole. I also believe whilst hardware refinements and small advancements are a given, it will be the software that will help drive a phone to greater success. Gah!! Just realised you mentioned this in the article! Sorry. I bought a Lenovo P2. Mainly for podcasts and to avoid risking a £600 phone out walking. This supplements my old Note 3. Which has become flaky. I’m inclined to avoid Samsung for a year or two and consider the LG later in the year, if anything. If I want a camera, I have one. The P2 is a great phone Paul. I’m not I agree about the Galaxy S8 having slight hardware changes compared to the S7. The screen to body ratio can’t be considered “slight”, and now only curved screen and use of the iris scanner. 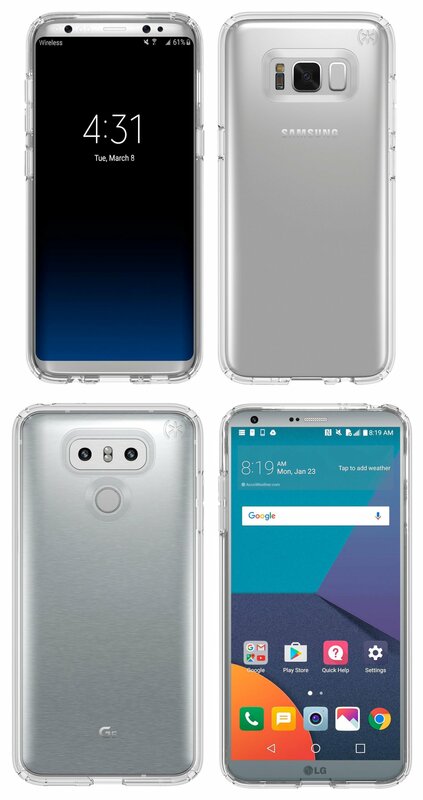 These are all different for existing S7 users. Also the fingerprint sensor is now round the back. Not the best place for it IMO (especially placed right next to the flipping camera lens!) but we’ll have to wait and see.